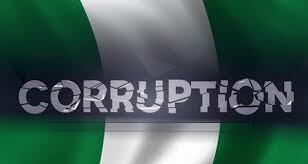 The problem of corruption in Nigeria dates back to the first republic, which was the major reason the military gave when they struck in the first coup of January 15, 1966. Some writers have, however, argued that though corruption is as old as human existence, the type we have in Nigeria today was introduced by the British, who corrupted our culture and tradition, and in many cases rooted them out and replaced them with theirs, which are alien to us. They argue that the British laid the foundation of corruption in most African countries, with Nigeria as one of the major victims. Afterwards, corruption became the chief reason given by successive military regimes for interrupting civilian government in the country. Interestingly, accusations and counter accusations of corruption was a daily issue during the civilian administration, as it is the case today. After the hand over of power to civilians in 1979, it was the major reason General Muhammadu Buhari gave for the December 31, 1983 take-over of power from the civilian administration. He sent a lot of politicians to prison over different corruption allegations. Interestingly, the same allegation was given by General Ibrahim Babangida for the August 25, 1985, coup, though he listed nepotism, which is also a form of corruption. In the history of Nigeria’s political development, corruption has featured chiefly as a major issue, but it was not until the President Olusegun Obasanjo government of 1999 to 2007 that the country made concrete efforts to create institutions for anti-graft war. This saw the creation of the Independent Corrupt Practices and Other Related Commission, ICPC, which was signed into law on September 29, 2000 and the Economic and Financial Crimes Commission, EFCC, created in 2003, but became operational with its Establishment Act of 2004. Earlier, we had seen the establishment of the Code of Conduct Bureau and Tribunal to deal with complaints of corruption by public servants over breaches of its provisions. This came into force on January 1, 1991. These were all government interventions to check corruption, which had become endemic and is still a problem to the country’s development till date. Similarly, many other laws were put in place to ensure transparency in the business environment, namely, the Procurement Act, the Physical Responsibility Act, and Nigeria Extractive Industries Transparency Initiative, NEITI, which represents the Nigerian arm of the global Extractive Industries Transparency Initiative. All these laws were put in place to deal with the problem of corruption and transparency in government business, among others. Despite all the laws and initiatives to check the incidence of corruption, the country has continued to sink deeper into corruption according to an international organisation, Transparency International. For example, the organisation in its 2017 corruption perceptions index, released in 2018, noted that majority of countries surveyed were making little or no progress in ending corruption, while further analysis showed that journalists and activists in corrupt countries were risking their lives every day in an effort to speak out. Of the 180 countries surveyed for 2017, Nigeria ranked 148. The index, which ranks 180 countries and territories by their perceived levels of public sector corruption according to experts and business people, uses a scale of to indicate which countries are highly corrupt and those that are clean. This year, the index found that more than two-thirds of countries scored below 50, with an average score of 43. Unfortunately, compared to recent years, this poor performance is nothing new. Though the Transparency International corruption report measures perceptions, it has over time proved to reflect the actual corruption index of the various countries assessed. The interesting point is that Nigeria has not fared well in its battle to curb corruption. A cursory look at Amnesty International’s ranking of Nigeria in the last 10 years has presented a mixed grill. For instance, in 2008, Nigeria ranked 121; it slided to 130 in 2009, while in 2010, it ranked 134. In 2011, Nigeria ranked 143 and in 2012, the ranking improved to 139. Between 2013 and 2015, the ranking remained at 136, while it slided again to 148 in 2017, which is latest ranking. A sad reality about Nigeria’s fight against corruption is the selective nature it has always assumed. Often, anti-graft bodies have been deployed against perceived political enemies and used as attack dogs by heads of the government in power or their appointors to wage war on those that were considered to be out of favour with the government. Though political will is a major problem in the effort to rid the country of corruption, some institutions have not helped matters. It is on record that in Nigeria, there are scores of high profile corruption cases pending in our courts with some of them lingering there for more than five years. This does not inspire confidence for a society that is determined to rid itself of the scourge of corruption. Also, cases abound where entities which purchased public assets have not performed well because they lack the technical and financial competence to manage such outfits efficiently. This is particularly observed in situations where processes that lead to the handover of such assets to those that emerged as eventual bid winners were not transparent. The product of these handovers have been provision of abysmal services from such entities. Until the Nigerian government sincerely pursues transparency, frees its anti-corruption campaign of political considerations, and allows technically proficient and competent companies emerge in bid processes, the country will continue to grapple with cases of failed companies. The end results of these corrupt considerations will continue to manifest in government businesses not being run transparently and the country sinking deeper into despair. The most effective remedy to the challenge of corruption is to ensure that the institutions work independently and without the over bearing interference of the government in power.